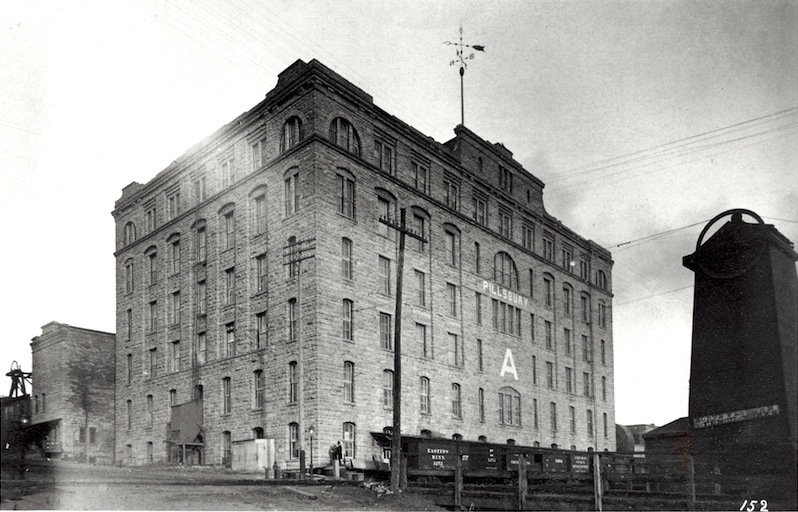 The pride of John Pillsbury’s flour business, the Pillsbury “A” Mill was once the largest flour mill in the world. On Main Street only a few hundred yards from the hardware store where Pillsbury got his start, the mill flourished. So did Pillsbury and Company, which owned five of the 25 flour mills operating at St. Anthony Falls at the time. 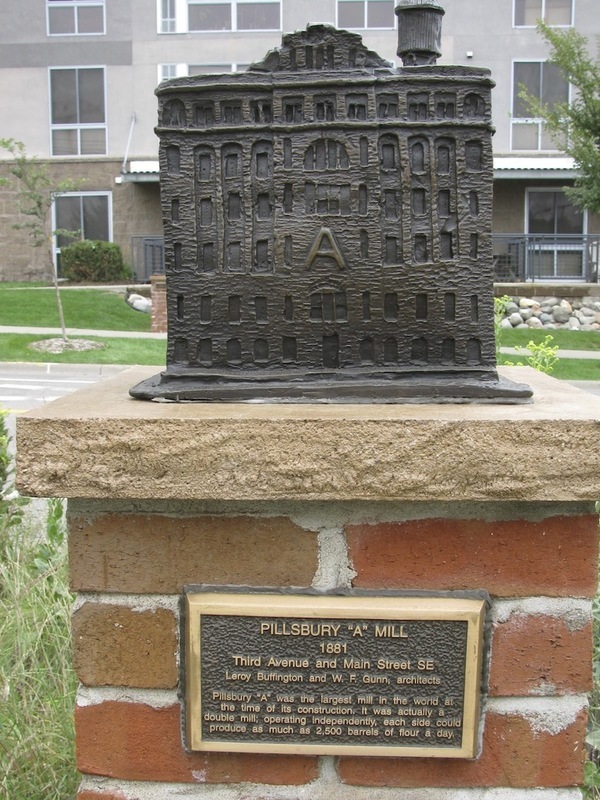 As much a statement of purpose as it was a working mill, the name “Pillsbury” is spelled out in 4-foot high letters made of marble and the “A” stands 10 feet tall. 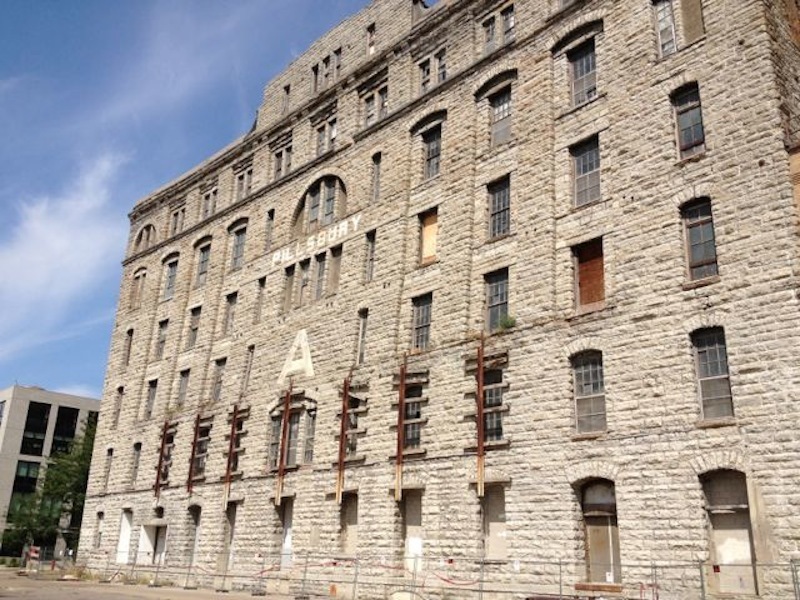 The mill’s façade emphasizes its verticality and features classical touches such as segmented arch windows and Romanesque arches, which can be found in the center and at either end of the sixth story. The Platteville limestone used to construct the mills more than eight-feet-thick walls was chosen because it was thought capable of withstanding the constant vibrations of machinery. Unfortunately, this turned out not to be true and the walls soon needed bracing. The mill’s interior was designed by mill engineer W. F. Gunn and featured a state-of-the-art flour mill, complete with electric lights enclosed in dust-free globes, a telephone system and twin turbines that delivered 2,400 horsepower. By 1905, the Pillsbury “A” Mill produced more than 16,000 barrels of flour a day, and it continued to produce flour into the next century. Today, the historic structure is being renovated into artists’ residences and studios. 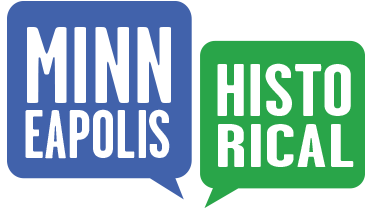 Marcy-Holmes Neighborhood Association, “Pillsbury "A" Mill (1881) ,” Minneapolis Historical, accessed April 22, 2019, http://minneapolishistorical.org/items/show/98.